The Fosse Group of Parishes have been in an interregnum since July 2018. We will be undertaking the process of appointing a new incumbent from April. 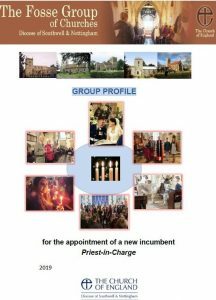 The Group Profile, and its accompanying appendices, are supporting the appointment of the new incumbent.